In white metal, an eight pointed star, the upper point displaced by an Imperial crown. 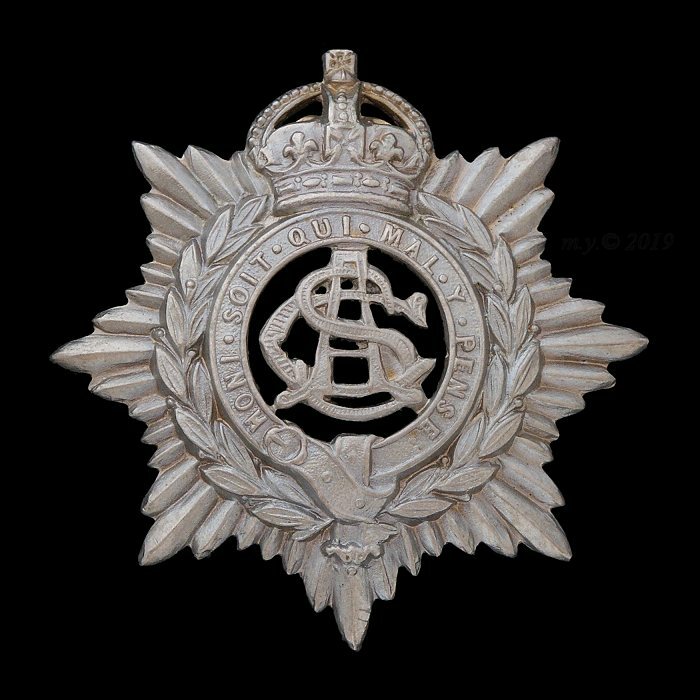 Overlying this the wreathed garter and motto Honi Soit Qui Mal Y Pense. In the centre, the voided monogram ‘ASC’. This example with two loops to the reverse. 42mm tall, 41.5mm wide. 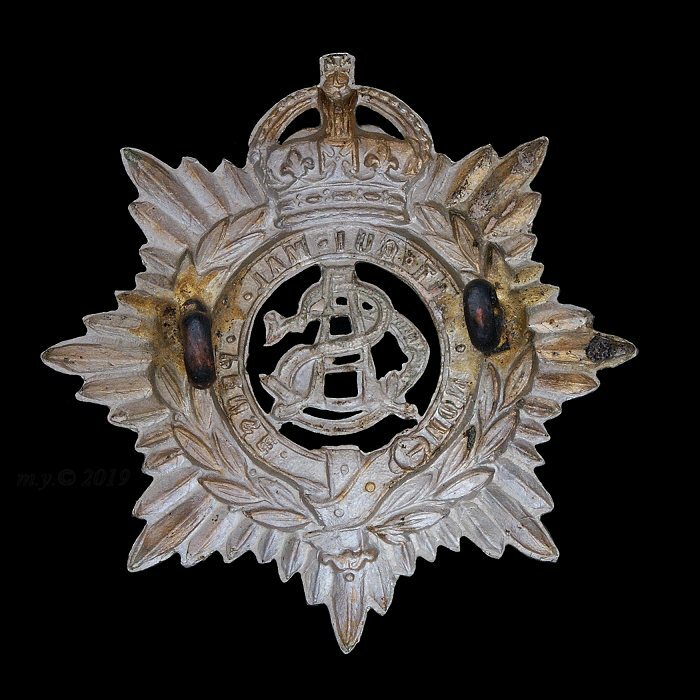 The white metal ASC cap badge is not Volunteers, it is the post-1911 pattern worn by TF units 1911-c1920.